Still, it is hard to view your child’s toys and old clothes as junk. So, if you are the sentimental, sensitive type, get ready because this process may not be easy for you. Just make sure to remind yourself that this is a necessary step. If you hate the thought of throwing away, giving away or selling some of your kids’ stuff (even the ones they no longer need or use), consider investing in furniture pieces that come with extra storage space. Don’t limit this strategy only to the nursery or the children’s room. Fill up the entire house with storage-friendly furniture, especially in the common areas such as the living room and the kitchen where kids often tend to leave their toys. If you don’t know what do to with your old furniture pieces, consider using risk-free furniture removal services in London. If they are in a good condition, you may even sell them to a neighbour or to someone online. Now that you have more storage options in your home, you need to come up with a smart system for it. Don’t just toss items in there randomly. Instead, use one drawer for all the artsy-craftsy stuff and another for things like smaller toys. That will help you maintain the newly-established order in your house. If you don’t want have toys in every room of the house, set up a special play area. Let your children know that their games and toys won’t be allowed in any other part of the home. Even if the play area gets cluttered and messy, you will still be able to invite people over and avoid Lego-foot traps in the morning. 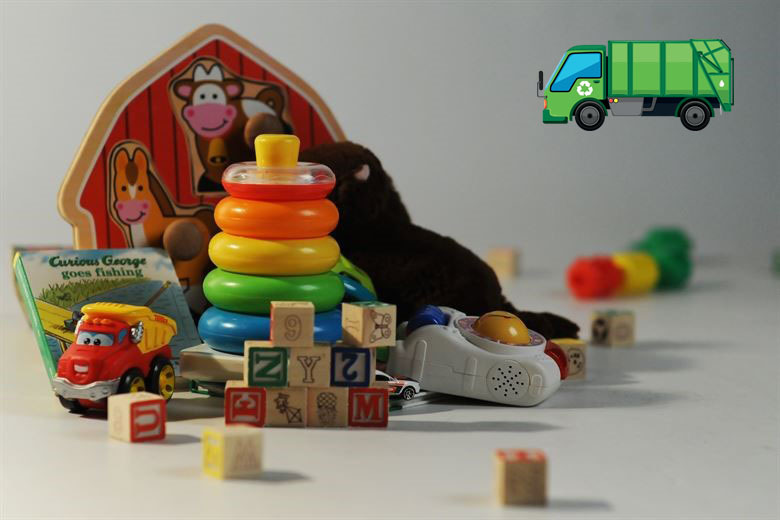 Finally, if there are toys that your kids are not using or clothes which they have outgrown – get rid of them. Either give them to a friend, donate them or sell them. Just don’t keep them because they will only add up to the clutter. What if you want to have another baby? If you are hoping to have another child in the future, you can still declutter clothes that are too gender-specific. Also, you don’t need to keep all the toys that your kids have. Once the new baby comes, people will shower you with new gifts among which there will surely be plenty of toys. Bulky items such as walkers and baby swings also need to go. They take too much space and you only get to use them for a few weeks.